Welcome to Renew by Jennifer! If you’re looking for a professional massage therapist in the Lawrence, KS area, you’ve come to the right place. Jennifer Baldwin is trained in a variety of modalities and you can expect each massage to be customized to meet your specific needs. 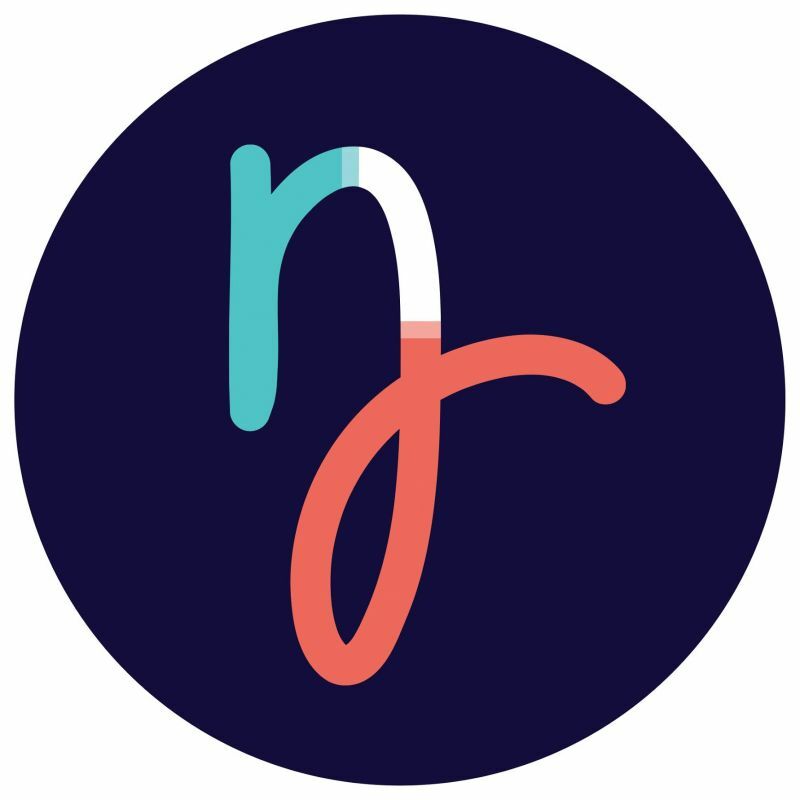 You can click on the "Services & Rates" page to learn more about the various techniques she uses, and if you’d like to set up an appointment with Jennifer, click on "Contact Me/Request an Appointment" and send a message. She will call or email you back to set & confirm the details of your appointment, and also answer any questions you might have. June 21, 2018---Jennifer Baldwin was voted 3rd place in the Best of Lawrence Individual Massage Therapist category. Her business, Renew by Jennifer also made the Top 5. What a great place to offer bodywork and have a business! 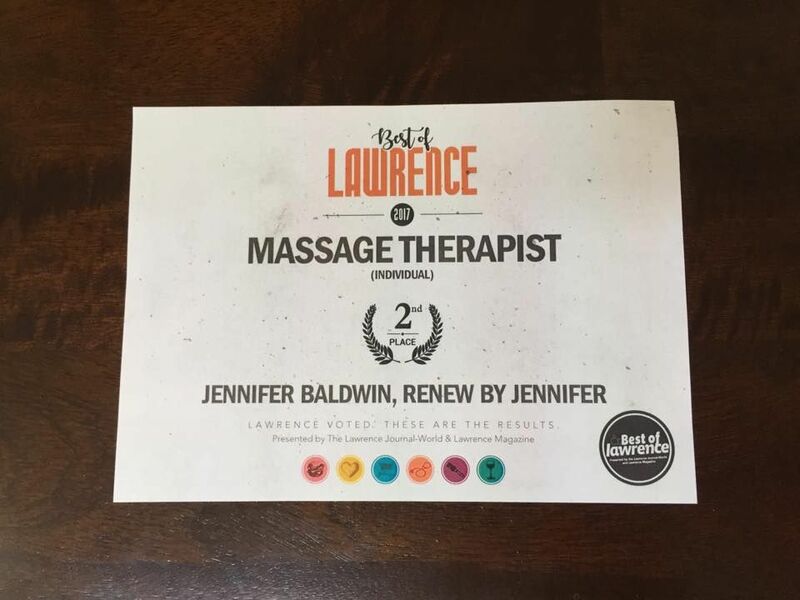 June 15, 2017---Jennifer Baldwin was honored and humbled to receive 2nd place in the Individual Massage Therapist category in the Best of Lawrence competition. Thank you Lawrence, KS for being such a great city to operate a business, and to all the voters who supported Jennifer.